With one click, any semi-skilled hacker could have silently taken over a Fortnite account, according to a cybersecurity firm that says the bug is now fixed. Researchers at Check Point say the three vulnerabilities chained together could have affected any of its 200 million players. The flaws, if exploited, would have stolen the account access token set on the gamer’s device once they entered their password. Once stolen, that token could be used to impersonate the gamer and log in as if they were the account holder, without needing their password. The researchers say that the flaw lies in how Epic Games, the maker of Fortnite, handles login requests. Researchers said they could send any user a crafted link that appears to come from Epic Games’ own domain and steal an access token needed to break into an account. “It’s important to remember that the URL is coming from an Epic Games domain, so it’s transparent to the user and any security filter will not suspect anything,” said Oded Vanunu, Check Point’s head of products vulnerability research, in an email to TechCrunch. Here’s how it works: The user clicks on a link, which points to an epicgames.com subdomain, which the hacker embeds a link to malicious code on their own server by exploiting a cross-site weakness in the subdomain. Once the malicious script loads, unbeknownst to the Fortnite player, it steals their account token and sends it back to the hacker. Epic Games has since fixed the vulnerability. “As always, we encourage players to protect their accounts by not re-using passwords and using strong passwords, and not sharing account information with others,” he said. When asked, Epic Games would not say if user data or accounts were compromised as a result of this vulnerability. There’s a lot you can make with a 3D printer: from prosthetics, corneas, and firearms — even an Olympic-standard luge. 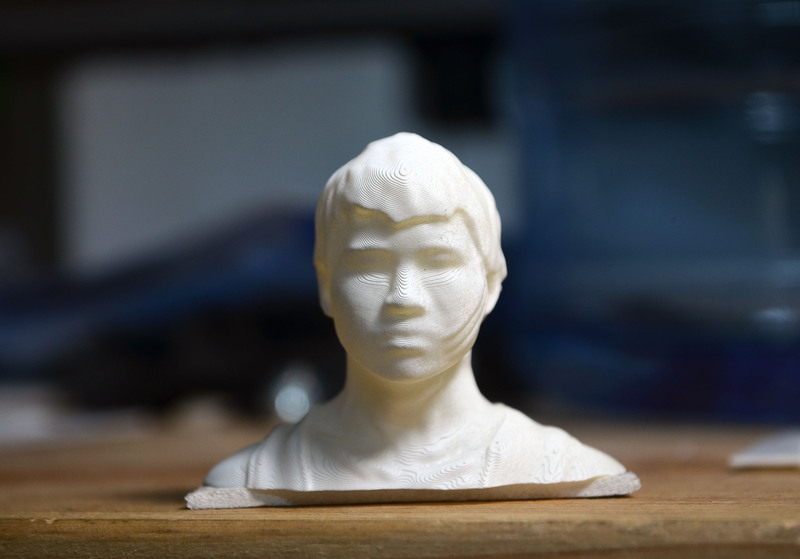 You can even 3D print a life-size replica of a human head — and not just for Hollywood. Forbes reporter Thomas Brewster commissioned a 3D printed model of his own head to test the face unlocking systems on a range of phones — four Android models and an iPhone X. Bad news if you’re an Android user: only the iPhone X defended against the attack. Gone, it seems, are the days of the trusty passcode, which many still find cumbersome, fiddly, and inconvenient — especially when you unlock your phone dozens of times a day. Phone makers are taking to the more convenient unlock methods. Even if Google’s latest Pixel 3 shunned facial recognition, many Android models — including popular Samsung devices — are relying more on your facial biometrics. In its latest models, Apple effectively killed its fingerprint-reading Touch ID in favor of its newer Face ID. But that poses a problem for your data if a mere 3D-printed model can trick your phone into giving up your secrets. That makes life much easier for hackers, who have no rulebook to go from. But what about the police or the feds, who do? It’s no secret that biometrics — your fingerprints and your face — aren’t protected under the Fifth Amendment. That means police can’t compel you to give up your passcode, but they can forcibly depress your fingerprint to unlock your phone, or hold it to your face while you’re looking at it. And the police know it — it happens more often than you might realize. But there’s also little in the way of stopping police from 3D printing or replicating a set of biometrics to break into a phone. “Legally, it’s no different from using fingerprints to unlock a device,” said Orin Kerr, professor at USC Gould School of Law, in an email. “The government needs to get the biometric unlocking information somehow,” by either the finger pattern shape or the head shape, he said. Although a warrant “wouldn’t necessarily be a requirement” to get the biometric data, one would be needed to use the data to unlock a device, he said. Jake Laperruque, senior counsel at the Project On Government Oversight, said it was doable but isn’t the most practical or cost-effective way for cops to get access to phone data. The FBI alone has thousands of devices in its custody — even after admitting the number of encrypted devices is far lower than first reported. With the ubiquitous nature of surveillance, now even more powerful with high-resolution cameras and facial recognition software, it’s easier than ever for police to obtain our biometric data as we go about our everyday lives. Those cheering on the “death of the password” might want to think again. They’re still the only thing that’s keeping your data safe from the law. A Utah man has pleaded guilty to computer hacking charges, after admitting to knocking several gaming services offline five years ago. Austin Thompson, 23, launched several denial-of-service attacks against EA’s Origin, Sony PlayStation and Valve’s Steam gaming services during the December holiday season in 2013. At the time, those denial-of-service attacks made it near-impossible for some gamers to play — many of whom had bought new consoles or games in the run-up to Christmas, including League of Legends and Dota 2, because they required access to the network. Thompson would take to his Twitter account, @DerpTrolling, to announce his targets ahead of time, and posted screenshots of downed services in the aftermath of his attacks. Thompson’s attacks caused upwards of $95,000 in damages, prosecutors said. “The attacks took down game servers and related computers around the world, often for hours at a time,” said Adam Braverman, district attorney for Southern California, in a statement. Thompson faces up to 10 years in prison and is scheduled to be sentenced in March. Security researchers have found flaws in four popular connected storage drives that they say could let hackers access a user’s private and sensitive data. The researchers Paulos Yibelo and Daniel Eshetu said the software running on three of the devices they tested — NetGear Stora, Seagate Home and Medion LifeCloud — can allow an attacker to remotely read, change and delete data without requiring a password. 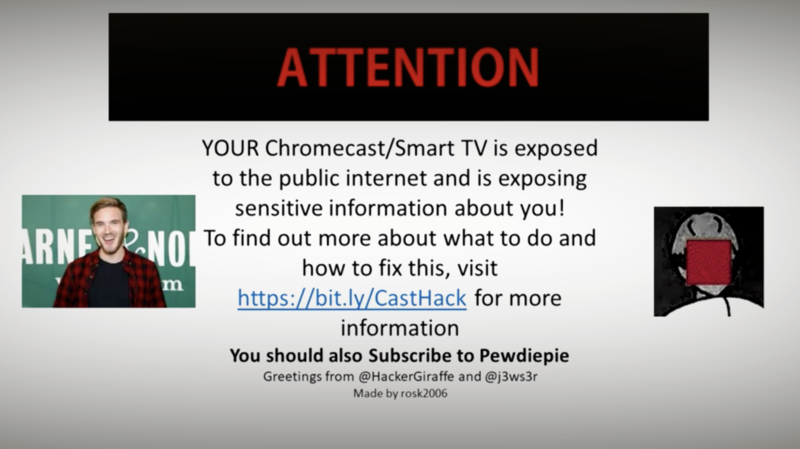 Yibelo, who shared the research with TechCrunch this week and posted the findings Friday, said that many other devices may be at risk. The software, Hipserv, built by tech company Axentra, was largely to blame for three of the four flaws they found. Hipserv is Linux-based, and uses several web technologies — including PHP — to power the web interface. But the researchers found that bugs could let them read files on the drive without any authentication. It also meant they could run any command they wanted as “root” — the built-in user account with the highest level of access — making the data on the device vulnerable to prying eyes or destruction. We contacted Axentra for comment on Thursday but did not hear back by the time of writing. A Netgear spokesperson said that the Stora is “no longer a supported product… because it has been discontinued and is an end of life product.” Seagate did not comment by our deadline, but we’ll update if that changes. Lenovo, which now owns Medion, did not respond to a request for comment. The researchers also reported a separate bug affecting WD My Book Live drives, which can allow an attacker to remotely gain root access. In all four vulnerabilities, the researchers said that an attacker only needs to know the IP address of an affected drive. That isn’t so difficult in this day and age, thanks to sites like Shodan, a search engine for publicly available devices and databases, and similar search and indexing services. Depending on where you look, the number of affected devices varies. Shodan puts the number at 311,705, but ZoomEye puts the figure at closer to 1.8 million devices. Although the researchers described the bugs in moderate detail, they said they have no plans to release any exploit code to prevent attackers taking advantage of the flaws. Newegg is clearing up its website after a month-long data breach. Hackers injected 15 lines of card skimming code on the online retailer’s payments page which remained for more than a month between August 14 and September 18, Yonathan Klijnsma, a threat researcher at RiskIQ, told TechCrunch. The code siphoned off credit card data from unsuspecting customers to a server controlled by the hackers with a similar domain name — likely to avoid detection. The server even used an HTTPS certificate to blend in. The code also worked for both desktop and mobile customers — though it’s unclear if mobile customers are affected. The online electronics retailer removed the code on Tuesday after it was contacted by incident response firm Volexity, which first discovered the card skimming malware and reported its findings. Newegg is one of the largest retailers in the US, making $2.65 billion in revenue in 2016. The company touts more than 45 million monthly unique visitors, but it’s not known precisely how many customers completed transactions during the period. In an email to customers, Newegg chief executive Danny Lee said the company has “not yet determined which customer accounts may have been affected.” When reached, a Newegg spokesperson did not immediately comment. Klijnsma called the incident “another well-disguised attack” that looked near-identical to the recent British Airways credit card breach, and earlier, the Ticketmaster breach. Like that breach, RiskIQ attributed the Newegg credit card theft to the Magecart group, a collective of hackers that carry out targeted attacks against vulnerable websites. The code used in both skimming attacks was near identical, according to the research. Anyone who entered their credit card data during the period should immediately contact their banks. 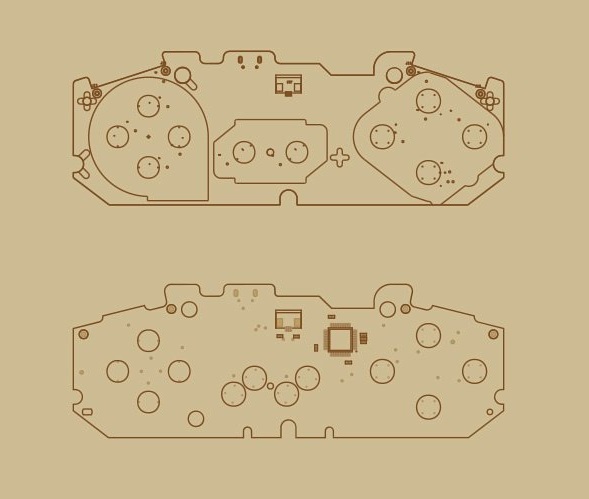 I have to hand it to 8BitDo. At first I thought they were just opportunistically hawking cheap hunks of plastic in an era of unparalleled nostalgia for retro games, but… well, who am I kidding? That’s exactly what they’re doing. But they’re doing it well. And these new DIY kits are the latest sign that they actually understand their most obsessive customers. While you can of course purchase fully formed controllers and adapters from the company that let your retro consoles ride the wireless wave of the future, not everyone is ready to part with their original hardware. I, for example, have had my Super Nintendo for 25 years or so — its yellowing, cracked bulk and controllers, all-over stains and teeth marks compelling all my guests to make an early exit. I consider it part of my place’s unique charm, but more importantly I’m used to the way these controllers feel and look — they’re mine. 8BitDo understands me, along with the rest of the wretches out there who can’t part with the originals out of some twisted concept of loyalty or authenticity. So they’re giving us the option to replace the controllers’ aging guts with a fresh new board equipped with wireless connectivity, making it a healthy hybrid of the past and present. If you’re the type (as I am) that worries that a modern controller will break in ways that an SNES controller would find laughable, if it could laugh, then this will likely strike your fancy. All you do is take apart your gamepad (if you can stand to do so), pull out the original PCB (and save it, of course), and pop in the new one. You’ll be using more or less all the same parts as these famously durable controllers came with (check out this teardown). The way the buttons feel shouldn’t change at all, since the mechanical parts aren’t being replaced, just the electronics that they activate. It runs on a rechargeable battery inside that you recharge with an unfortunately proprietary cable that comes with the kit. If you’re worried about latency… don’t be. On these old consoles, control latency is already like an order of magnitude higher than a complete wireless packet round trip, so you shouldn’t notice any lag. You will, however, need to pick up a Bluetooth adapter if you want to use this on your original console — but if you want to use the controller with a wireless-equipped setup like your computer, it should work flawlessly. If you buy it and don’t like it, you can just slot the original PCB back into its spot and no harm is done! There are conversion kits for the NES and SNES, the new Classic Editions of both, and the Sega Mega Drive. At $20 each it’s hardly a big investment, and the reversible nature of the mod makes it low risk. And hey, you might learn something about that controller of yours. Or find a desiccated spider inside. A 28-year-old man in South Korea faces a year in prison for hacking Overwatch . The sentence, reported by South Korea’s SBS News and Dot Esports, handed the hacker one year in prison and two years of probation for illicit activity related to the hit online multiplayer game. The particularly steep sentence is a result of both the ongoing nature of the activity and the fact that the individual generated 200 million Korean won (almost $180,000 USD) from Overwatch-related hacks. The hacker’s charges stem from the violation of two Korean laws: the Game Industry Promotion Act and the Information and Communication Technology Protection Law. In the last year, Overwatch developer Blizzard Entertainment has worked with the Seoul National Police Agency’s cybersecurity department to crack down on hacks that compromise the integrity of the high-profile game, particularly due to its prominence in the esports world. Hacks for a game like Overwatch can take many forms, including scripts that enable perfect aim, match-fixing and a rank manipulation practice known as boosting. The new sentence isn’t the first to be handed down by the Korean government for game-related hacking, but given the fact that sentencing usually results in large fines, it is notably harsh. Laws meant to deter gaming hacks went into effect in the country last year and stipulate that violators may face up to $43,000 in fines and up to five years in prison. 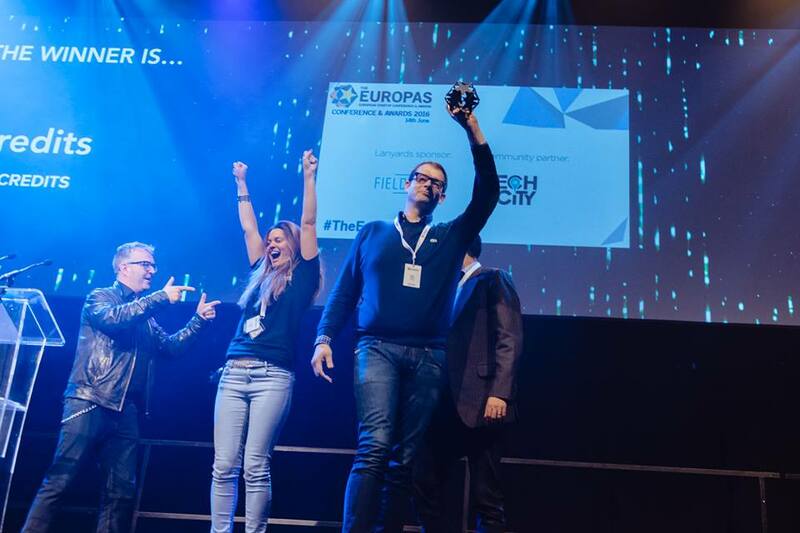 We’d love for you to ask your friends to join us at The Europas – and we’ve got a special way to thank you for sharing. Your friend will enjoy a 15% discount off the price of their ticket with your code, and you’ll get 15% off the price of YOUR ticket. That’s right, we will refund you 15% off the cost of your ticket automatically when your friend purchases a Europas ticket. So you can grab tickets here. Public Voting is still humming along. Please remember to vote for your favourite startups! The Awards celebrates the most forward thinking and innovative tech & blockchain startups across over some 30+ categories. 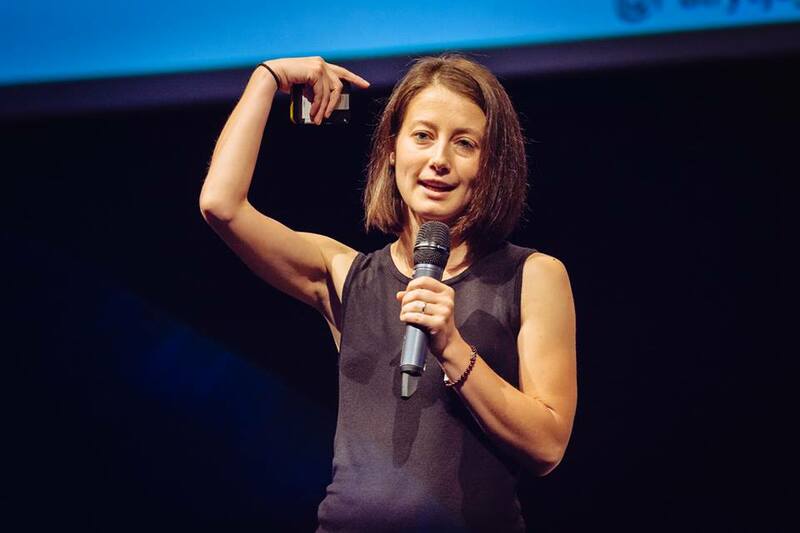 Startups can apply for an award or be nominated by anyone, including our judges. It is free to enter or be nominated. 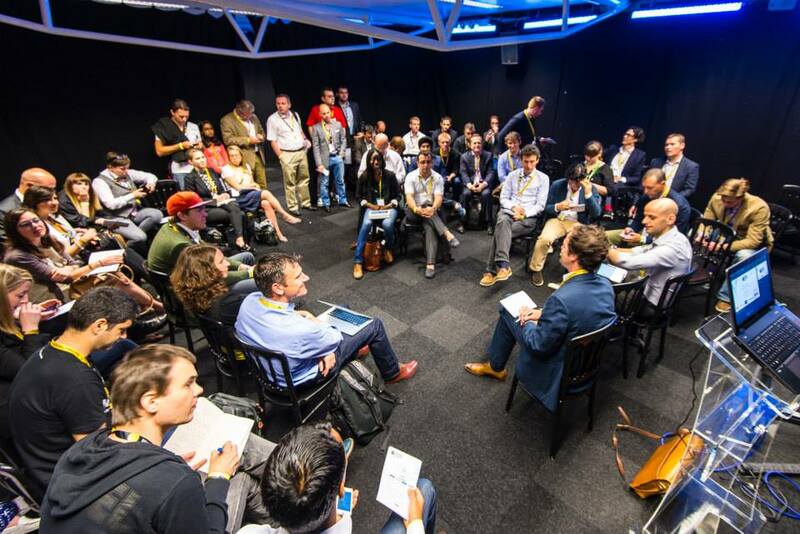 Instead of thousands and thousands of people, think of a great summer event with 1,000 of the most interesting and useful people in the industry, including key investors and leading entrepreneurs. • All on one day to maximise your time in London. And it’s PROBABLY sunny!